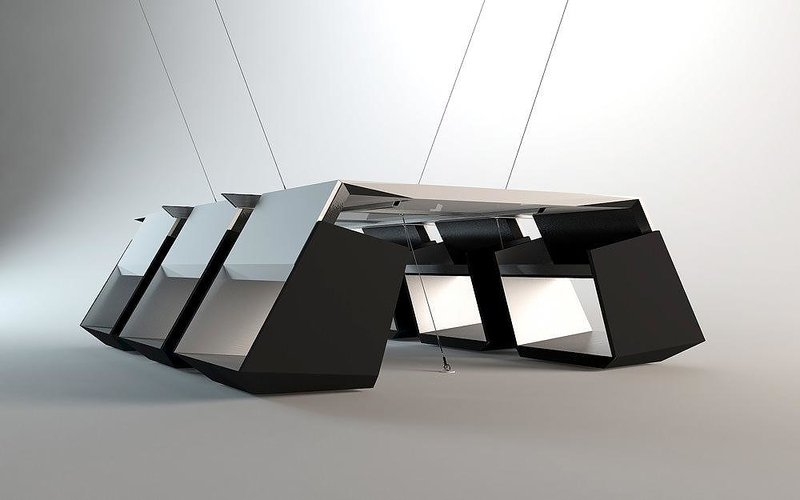 HomeBlogHome DecorInfinity Table by Bozhinovski Design. 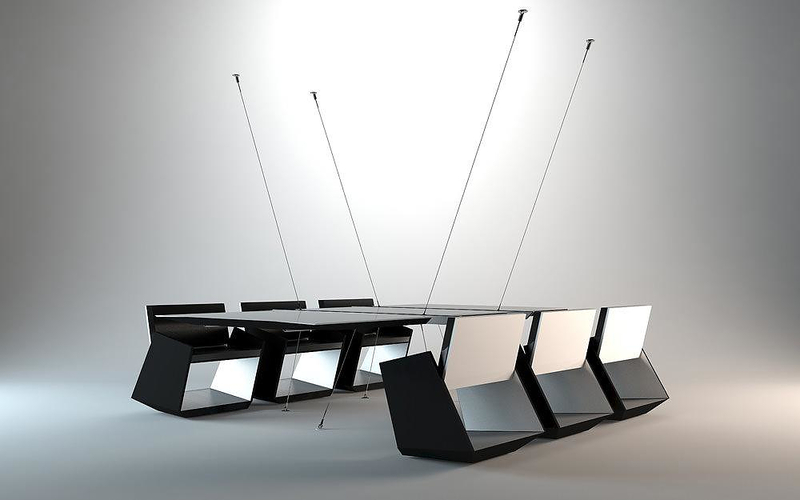 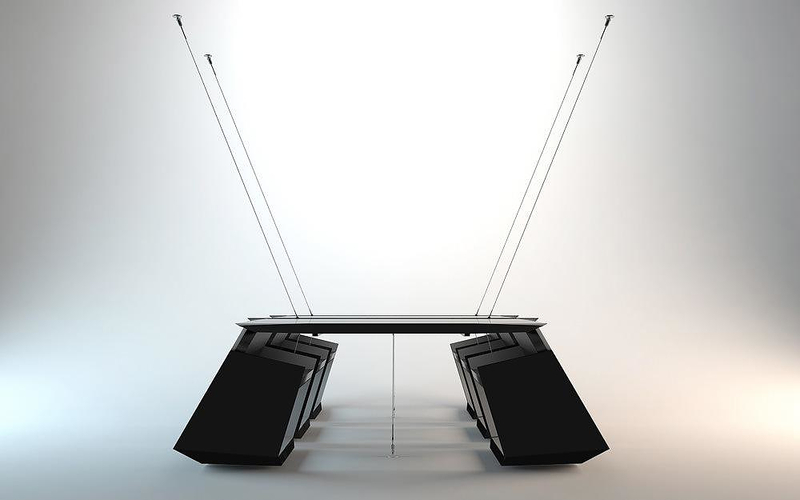 The table is designed for six people plus one, which occupies a central position. 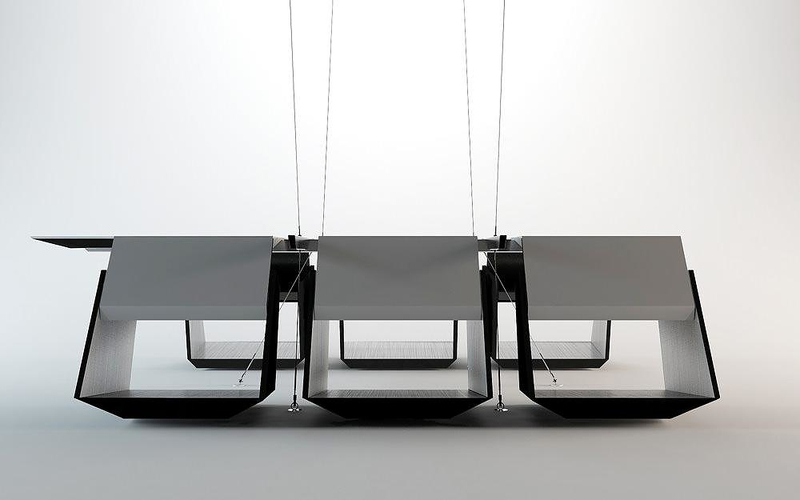 One of the highlights of the design is that the table is not a singular piece, but rather composed of three modules. 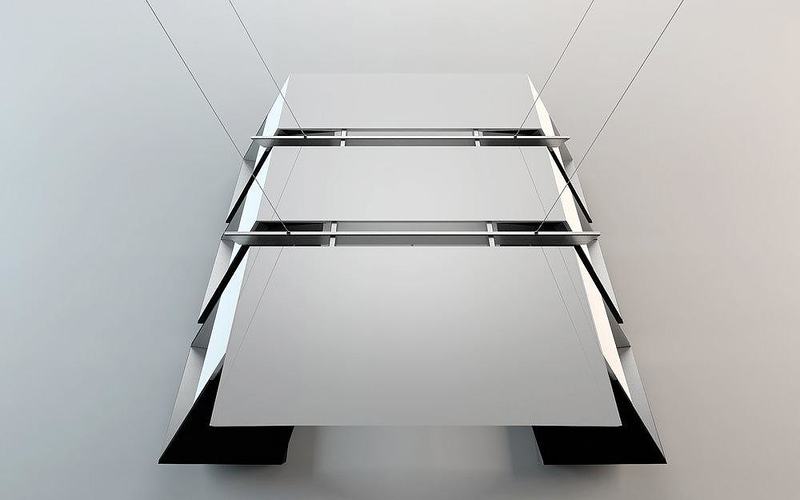 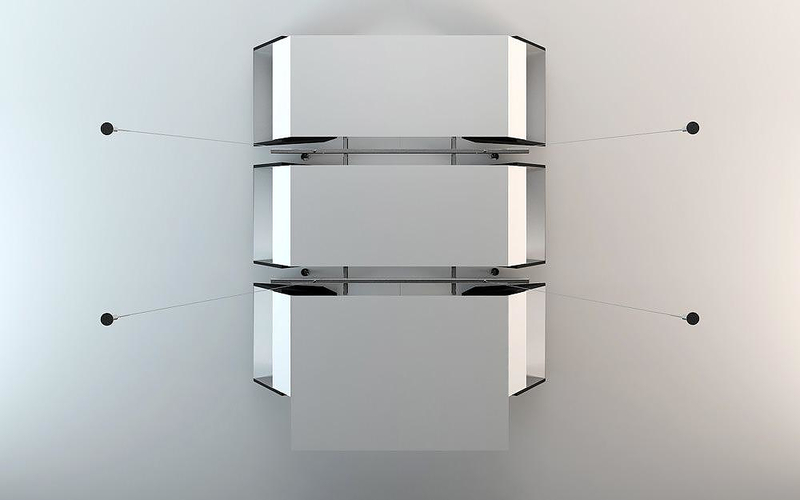 Each module consists of one piece suitable to accommodate two chair and it is connected with the next module using stainless steel joint. 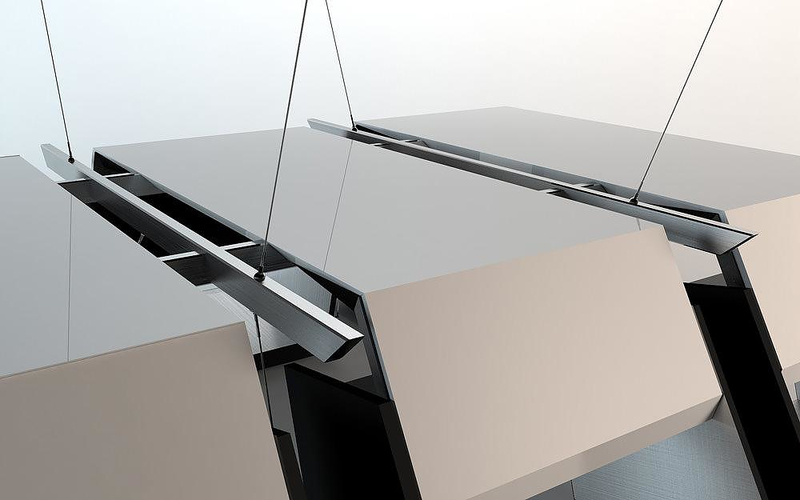 Yet the most striking element of the design is the “levitating” tabletop, that is stretched between floor and ceiling by wire ropes. 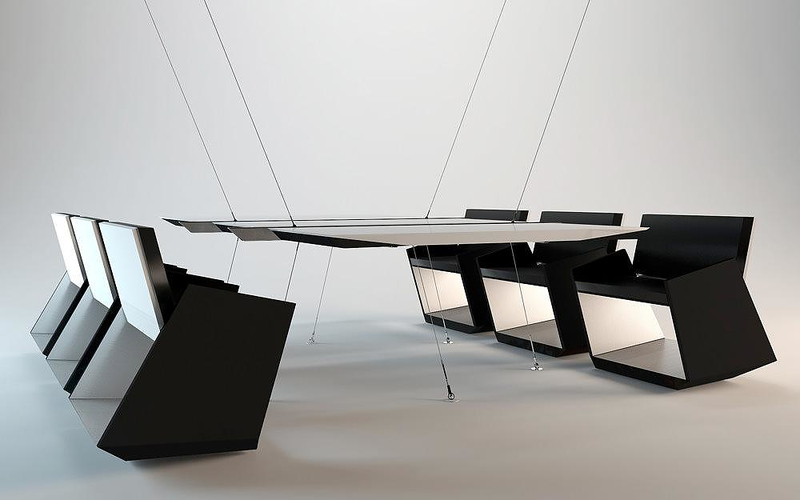 While the impressive tabletop remains the center of attention, the matching geometrical chairs are equally elegant and perfectly complement the futuristic scenery. 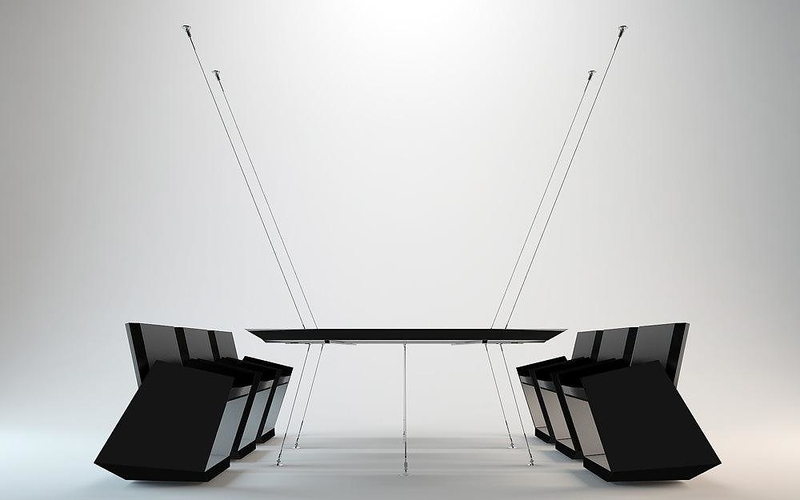 They are also designed in such a way that they can be conveniently tucked under the table when not in use.